Tebaldo Roberto and other French soldiers have gathered in front of the Governor`s palace. As they offer a toast to their homeland they are observed by the local Sicilians unhappy with the occupation. Elena enters dressed in mourning for her executed brother. Somewhat drunk Roberto demands that she sing and she calmly agrees. Her song about the perils of seamen and God`s cry of `let dangers be scorned` Deh! tu calma o Dio possente / `Viens à nous Dieu tutélaire` / `Pray O mighty God calm with thy smile both sky and sea` only incites the Sicilians to rebellion against the occupiers. When the governor Monteforte enters the crowd calms down. Then Arrigo announces that he has been released from prison. 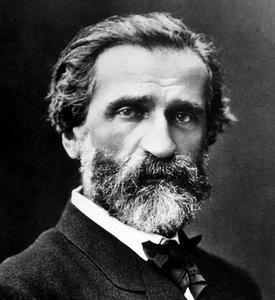 Alone with Arrigo Montforte offers him a position with the French as long as he stays away from Elena. He refuses and immediately follows Elena into the palace. Procida lands on the shore from a small fishing boat. It is clear that he is returning from exile and he expresses his joy at returning to his native land and city O tu Palermo / `Et toi Palerme` / `O thou Palermo adored land...`. He is surrounded by Manfredo and other companions and he quickly orders his men to bring Elena and Arrigo to him Nell`ombra e nel silenzio / `Dans l`ombre et le silence`/ `In darkness and in silence`. The three make plans for an uprising during the impending festivities leading to the marriages of a group of young people. After Procida leaves Elena asks Arrigo what reward he seeks. Swearing that he will avenge her brother`s death he asks for nothing but her love. Bethune arrives with an invitation from Monteforte to attend a ball. Arrigo refuses and is arrested and dragged off. Led by Roberto a group of French soldiers arrive and Procida returns and sees that it is too late to save Arrigo since the young people have come into the square and have begun to dance. As the dance becomes more lively Roberto signals to his men who seize many of the young women dragging them off in spite of the protests of the young Sicilian men. The dejected young men witness a passing boat filled with French nobles and Sicilian women all bound for the ball. Procida and others determine to gain entrance to the ball and seek their revenge. Montforte reads a paper from the woman whom he abducted which reveals that Arrigo is his son Si m`abboriva ed a ragion! / `Yes she despised me and rightly!`. Bethune tells him that Arrigo has been brought by force but Montforte exalts in the fact that his son is close by In braccio alle dovizie / `Au sein de la puissance` / Given over to riches surrounded by honors an immense horrid void...`. The two men confront one another and Arrigo is somewhat puzzled by the way he is being treated. Finally Montforte reveals the letter written by Arrigo`s mother. Taken aback but still defiant Arrigo insults his father who reacts in anger as the younger man rushes out Parole fatale Insulto mortale / `Fatal word! Mortal insult! The joy has vanished...`. When Montforte enters he gives the signal for the ballet to begin. In the crowd but disguised are Elena Arrigo and Procida. Arrigo is surprised when the two reveal themselves and they declare that their purpose is to save the young man. However he is disturbed to hear that they intend to kill Montforte and when the father approaches the son there is a hint of warning given. As approaching assassins close in Arrigo leaps in front of his father just as Elena approaches. The Sicilians are horrified to see that Arrigo is being spared as the ensemble contemplates the situation. Elena Procida Danieli and the Sicilians curse Arrigo as they are dragged away while he wants to follow but is restrained by Montforte. Arrigo arrives at the prison gate and on Montforte`s orders waits to be admitted. He contemplates the situation that his friends are in Giorno di pianto / `O jour de peine`/ Day of weepeing of fierce sorrow!`. Elena is brought out and confronts him. Finally he admits that Montforte is his father and she begins to be willing to sympathise Arrigo! Ah parli a un core... / `Arrigo! Ah you speak to a heart already prepared to forgive.` Not seeing Arrigo Procida approaches Elena and reveals a letter telling him of awaiting freedom. But Montforte arrives and orders a priest and the execution of the prisoners while Procida is amazed to discover the truth of Arrigo`s situation. Arrigo begs for mercy for his friends and Montforte confronts him with one thing Dimme sol di `Mio padre / `Say to me only say `My father...`. Arrigo says nothing as the executioner appears and the couple are led away followed by Arrigo. Montforte steps in to prevent him from joining them. As Elena is led towards the executioner Monteforte steps in and announces a pardon for the Sicilians. Furthermore he agrees to the marriage of Elena and Arrigo and announces to the crowd `I find a son again!`. There is general rejoicing. As Knight and maidens gather Elena gives thanks to all Mercé dilette amiche / `Merci jeunes amies` /`Thank you beloved friends`. Arrigo arrives exclaiming his joy La brezza aleggia intorno / `La brise souffle au loin` / `The breeze hovers about...`. He leaves to find his father but Procida arrives announcing a plan to outwit his enemies with their massacre to take place at the foot of the altar after the vows have been said. She is torn the more so following Arrigo`s return between her love and her duty Sorte fata! Oh fier cimento! / `Fatal destiny! Oh fierce conflict!`. Finally she can go no further and she tells Arrigo that they cannot be married. Both men are furious with her for her seeming betrayal. Then Montforte arrives takes the couple`s hands joins them together and pronounces them married as the bells begin to ring. This is the signal for the Sicilians to rush in and hurl themselves upon Montforte and the French. 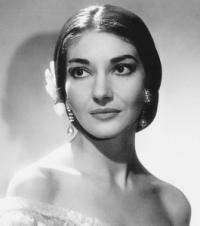 Giovanni da Procida (basso) - BORIS CHRISTOFF, La Duchessa Elena (soprano) - MARIA CALLAS, Guido di Monforte (baritono) - ENZO MASCHERINI, II Sire di Bethune (basso) - BRUNO CARMASSI, II Conte Vaudemont (basso) - MARIO FROSINI, Arrigo (tenore) - GIORGIO BARDI, KOKOLIOS Ninetta (contralto) - MAFALDA MASINI, Danieli (tenore) - GINO SARRI, Tebaldo (tenore) - ALDO DE PAOLI, Roberto (basso) - LIDO PETTINI.